BookCAT is a powerful book collector database program which will help you catalog a book collection of any size. 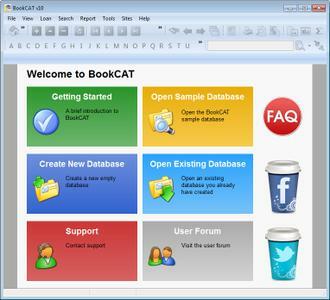 BookCAT is used by book-lovers, schools, churches, clubs, and business libraries. Using BookCAT you can quickly catalog your books by downloading information from the Internet. BookCAT will help you track what you have in your library, where it is (including books out on loan) and the total value of your collection.